Heritage Bank offered a unique twist on regular boring looking credit cards – your own customised image on your card, for free. To promote this, we turned two JCDecaux panels into photo booths. 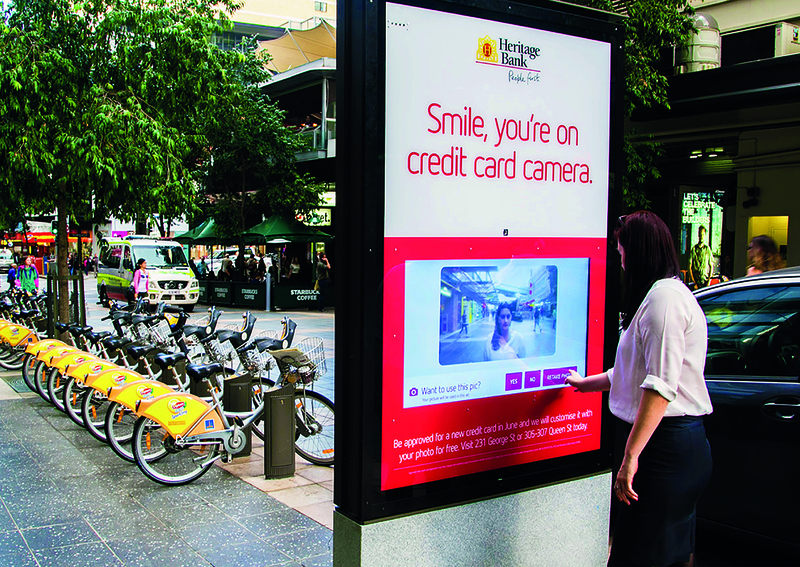 The panels were placed in two locations in the Brisbane CBD. Passers-by could take a snap of themselves and their friends with the built-in camera. Their picture then appeared on a customised Heritage Card as part of the ad. Our models were then encouraged to duck around the corner to the Heritage Branch and apply for their very own card. Hundreds of people got involved from late night revellers to early morning shoppers and even German Sausage vendors.